Hooda discussed with his agronomist father, I.S. Hooda, how he might help people living in conflict zones. His father had spent 35 years building relationships with farmers to preserve traditional organic farming practices, according to Heavenly Organics, and help them earn money from their products. Amit grew up near a conflict zone in India during the Punjab Insurgency, and that experience inspired him to figure out a way to help others. Together, the Hoodas envisioned a company that could provide people with ethical job opportunities as a way of defeating conflict. Over a decade later, Heavenly Organics supports hundreds of farmers and sells cane sugar, chocolate honey patties, and honey. They don’t sell just any honey, but raw, organic honey sourced from wild beehives in the forests of Central and Northern India and the Himalayas. 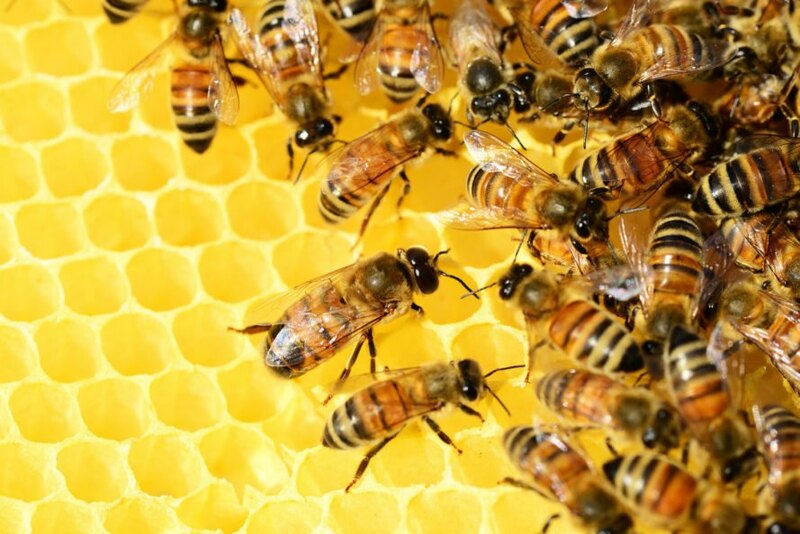 They say the free-range bees that create their honey and their hives have never been exposed to antibiotics, pollutants, genetically modified crops, or pesticides. Farmers harvesting honey draw on smoke-free methods to conserve wild bee colonies. Find out where Heavenly Organics products are sold near you here. You can also read more of the company’s story in this recent Wired article. One company in India is working to reduce conflict with honey. They hope by providing ethical jobs to people in conflict zones, they can eliminate conflict.